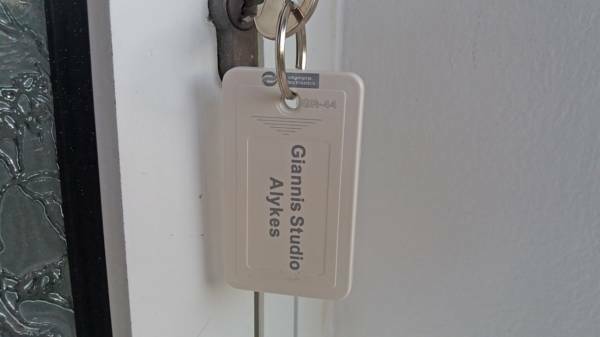 Giannis Studio Alykes located in the famous tourist resort of Alykes, on the northeast coast of the island of Zakynthos. 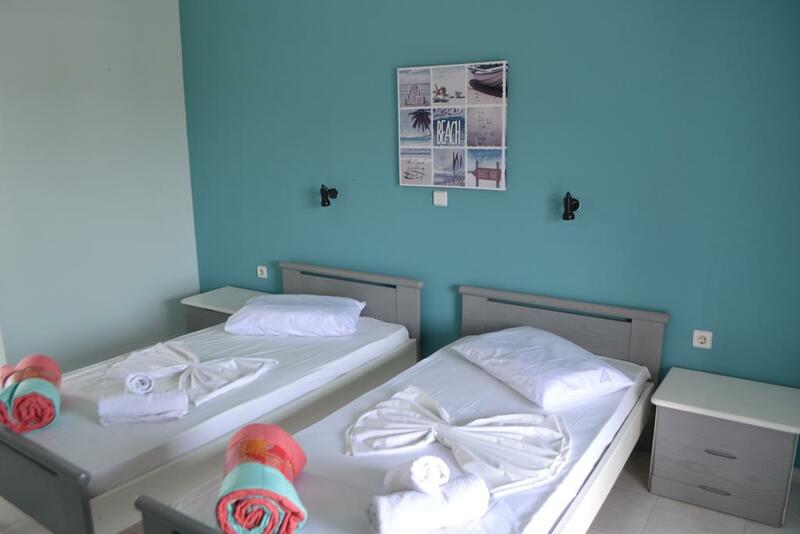 The complex consists of 21 studios distributed in the ground floor and two floors with pool and bar where you can daily enjoy the sun, your breakfast, your snacks, your afternoon rest and relaxation on sun loungers. The Alikes beach located approximately 550 meters from the facilities is one of the best on the island with golden sand, crystal clear shallow water suitable for small children, many water sports that you can try such as surfing and kite surfing. The beach of Alykes awarded with blue flag as one of the cleanest beaches of Greece. 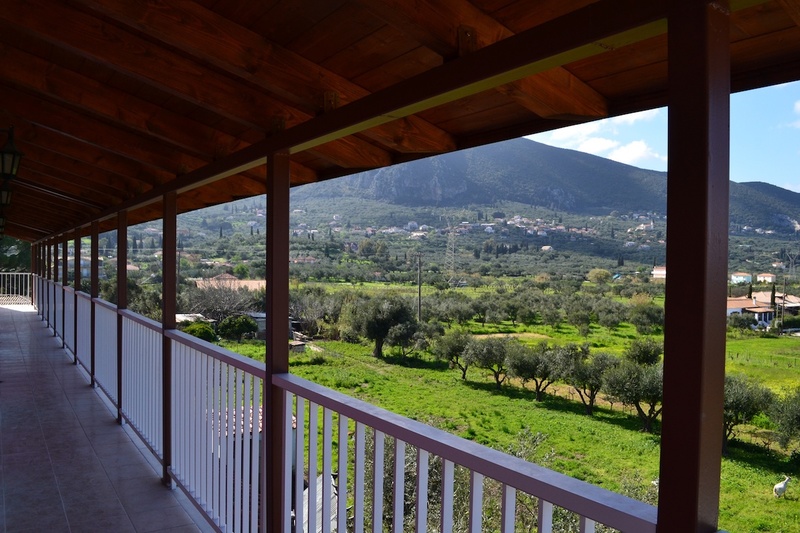 Spacious and comfortable studios with equipped kitchen that can accommodate 2 people (2 adults or 2 adults & 1 child). 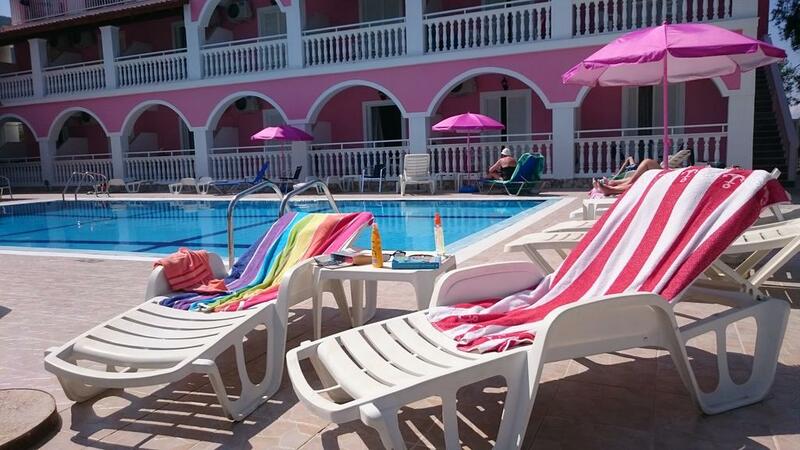 Enjoy the sun at the free sunbeds by the pool as well as delicious snacks and refreshing drinks.